The final day of the tournament. Still in high school, I’m sitting on the stage in PLNU’s Crill Auditorium with my debate partner, anxiously waiting. The lights beat down and the auditorium buzzes. Finally, silence settles over the large crowd. The semi-final round of the national Tournament of Champions begins. We’ve debated public policy for the past three days. The debate topic: missile defense systems near Russia. Nerves are always there—but I was a nervous wreck when I first began high school debate. I didn’t know anyone. I didn’t talk to anyone. I couldn’t understand the jargon. The topics seemed foreign, impossible to comprehend. Little by little, though, I began to grow. Our PLNU debate team sits in a classroom at Kansas City Kansas Community College, waiting for the round to start. 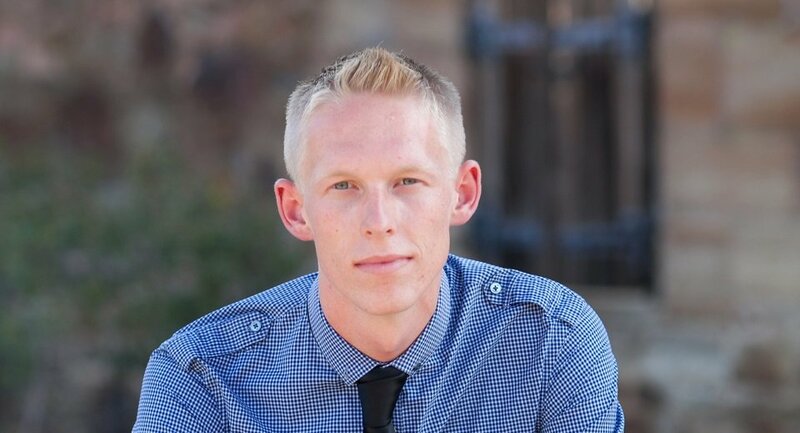 I’m in my second year at PLNU and a member of the Speech and Debate Team, studying broadcast journalism. My partner Kasey Graves and I have been consistently competing in elimination rounds. Other debate teams blast rock music to psych themselves up. Some talk about sports, movies, anything to keep their minds busy. We all drink gallons of coffee to wake up our brains—we’ve had little sleep, flying in for the tournament. Suddenly, someone yells “Topic!” The resolution of the round had been announced. Everyone runs to their laptops with pen and paper. The debate topic: The United Nations Security Council should authorize the forced extradition of Sudanese President Omar Al-Bashir. Kasey and I are anti-extradition, so we strategize our research: I search the Internet for alternative options to forced extradition, while Kasey prepares an argument about Al-Bashir’s peace efforts. We decide to run a counter position: instead of extraditing Al-Bashir, we argue to freeze his assets, a tool used by the United Nations to pressure world leaders suspected of illegal actions. Twenty minutes later, we stand in front of the judge to debate the best way to allow justice in the region. The details of the debate fade as we walk out the door—but the lessons learned affect us profoundly. Possessing the ability to analyze a situation, find alternative solutions, and back them up with studies and facts has changed the way I approach any problem. I’ve come to approach challenges with the mindset that everything is just waiting for a new approach. Griffin Invitational, Grossmont College, San Diego. My partner wasn’t able to make it, so I debated with another PLNU team member, Olivia Neidhart. We had a good run, winning most of our rounds—and despite a month-old broken ankle, I’m feeling great. The moment is at hand: The open division speaking awards are about to be announced. The audience sits up a little straighter. The judges announce the top 20 speakers. As the numbers decrease, my heart beats faster. Places 20 through 12 are announced. PLNU has won nothing. “Eleventh … tenth … ninth goes to Point Loma!” Caleb Moore runs to receive his award. “Eighth … seventh … sixth….” My brain tries to calm my racing heart. I know deep inside that everyone in the top five is a fantastic speaker. “Fifth, Point Loma … fourth, Point Loma … third, Point Loma!” Josh Gilbert, Brandon West, and Frank Daniel receive their trophies. The team is breathing freely now. We’ve upheld PLNU’s reputation. The countdown continues. I sit in stunned silence. My first college win. I’d been the freshman high school kid who was too nervous to talk. My second win was this past February at the American Enterprise Institute (AEI) in Washington, D.C. Our Director of Forensics, Dr. Skip Rutledge, flew three PLNU teams to compete at this new tournament sponsored by AEI and Colorado Christian University. The tournament was smaller, but judged by AEI fellows. I was humbled by their belief in my speaking skills. Related Article: How much do our words matter? Whether presenting a class project or giving an election speech when I ran for the 2015-16 Associated Student Body board of directors, I’m now at ease speaking in front of crowds. It’s a deeply personal victory to have been awarded top speaker at two tournaments because I used to be one of the shyest people you would have ever met. I’ve grown, thanks largely to my debate coaches, who challenged me to develop my cognitive abilities and knowledge of world events, as well as my spiritual life. Debate has helped me realize that God made us for relationships. People matter. Everyone has a unique purpose. Some excel at argumentation; others are wizards with numbers. Everyone has worth and value. Only by working together and combining our skills can we make an impact for good. Without that high school tournament at PLNU, I might never have attended this incredible university. I never would have met such authentic people, experienced such growth, or had the chance to join such a fantastic, Godly community. 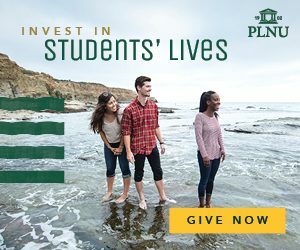 The students, staff, and faculty at PLNU are some of the most genuine people I know—and, together, they create an incredible environment for discussion and learning. Related Article: PLNU’s Speech & Debate Team shares how to take a logical approach to political conversations and disagree agreeably.